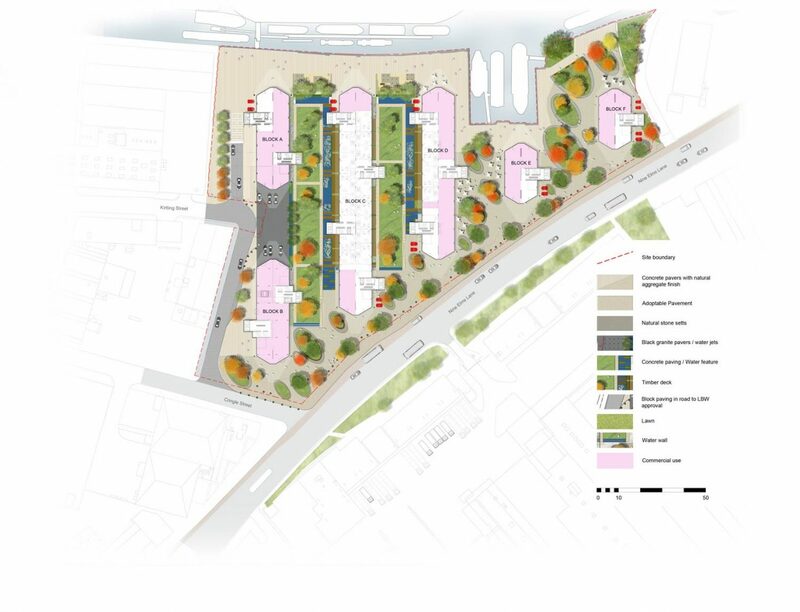 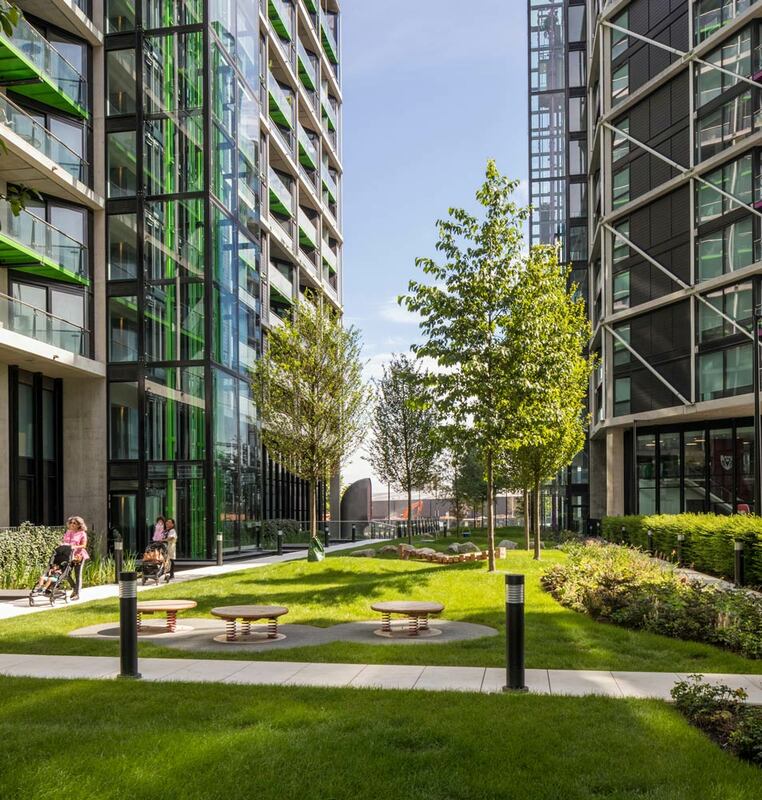 Gillespies: Riverlight is a pioneering residential-led development on a ﬁve-acre industrial estate in the heart of the emerging Nine Elms regeneration area, close to Battersea Power Station on the south bank of the River Thames. 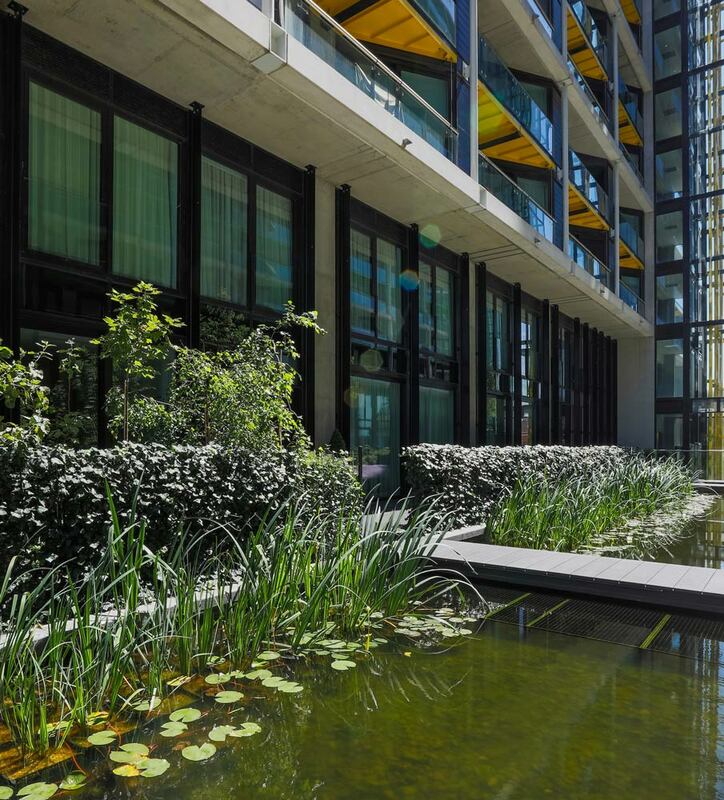 Designed by world-renowned architects Rogers Stirk Harbour + Partners, Riverlight consists of six modern and elegant residential pavilions, carefully arranged within a high-quality riverside landscape setting by Gillespies. 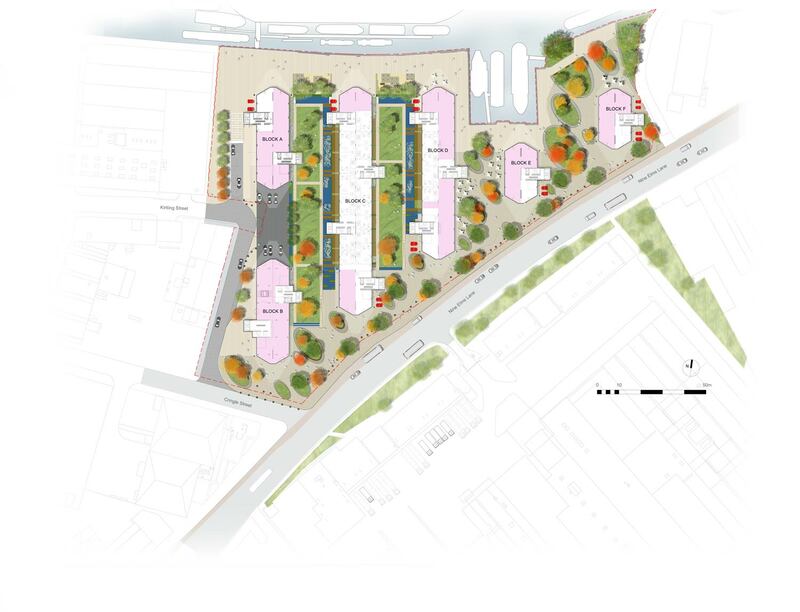 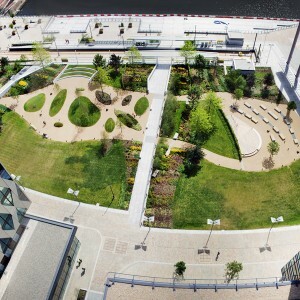 The strategic placement of these pavilions – which share the same architectural language but vary in height and colour – generated opportunities to create a permeable open space, with the riverfront visible and accessible between each of the six buildings. 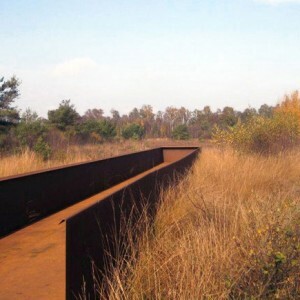 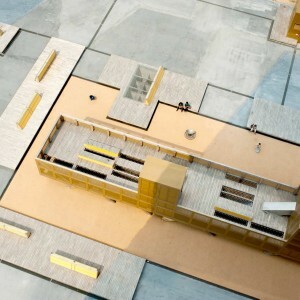 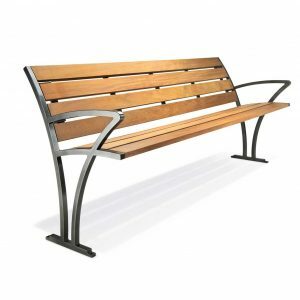 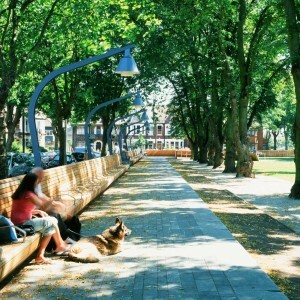 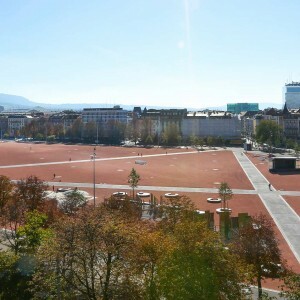 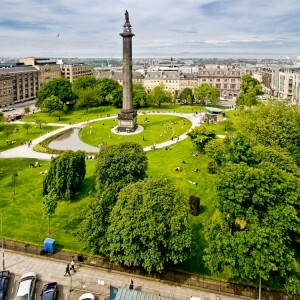 Around 60% of the scheme is designated as public open space. 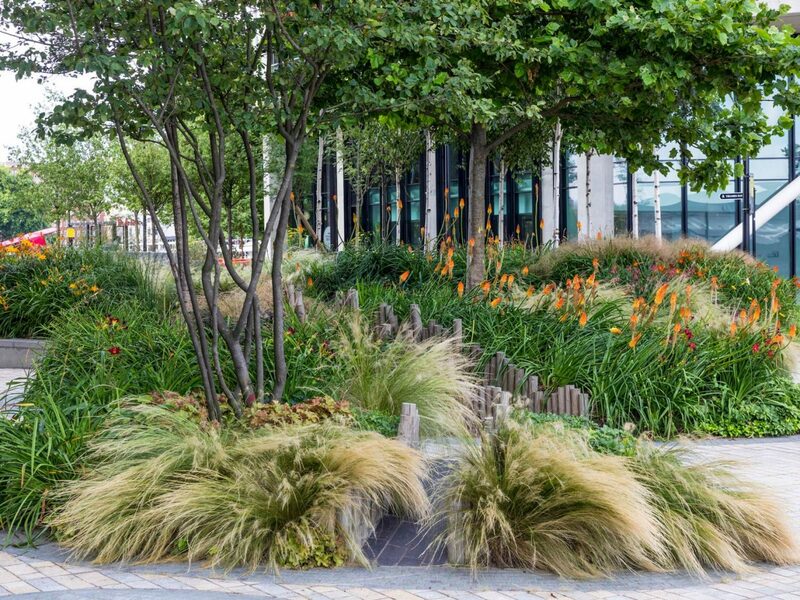 Gillespies’ designs create a seamless, free-flowing landscape that establishes a strong identity and a sense of place that is truly unique to Riverlight. 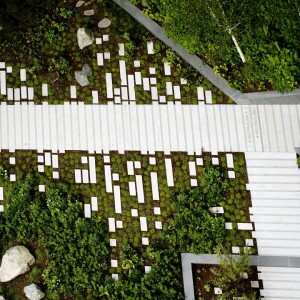 Each of the key spaces have their own distinct character and function. 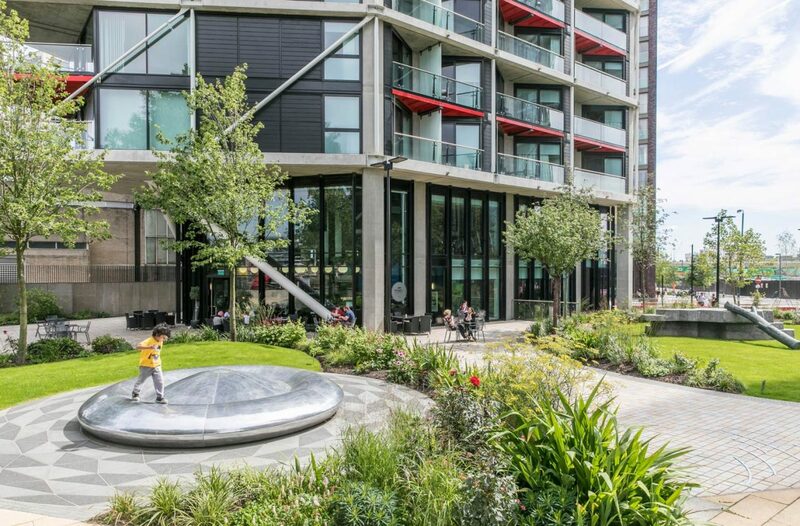 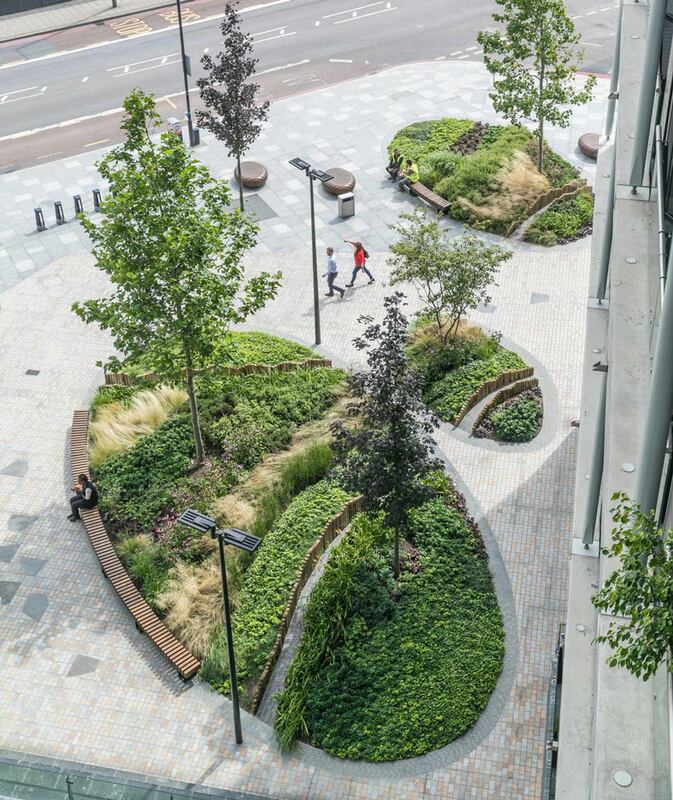 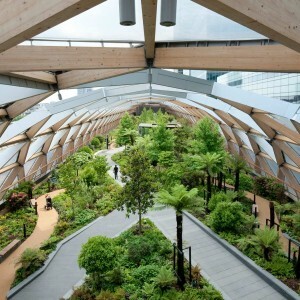 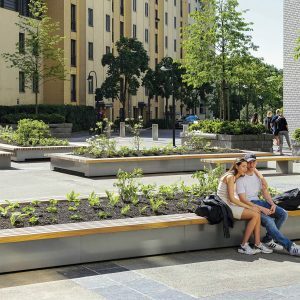 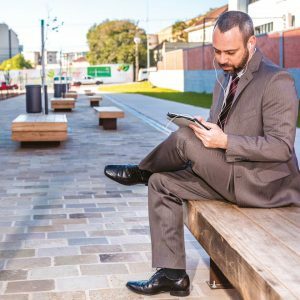 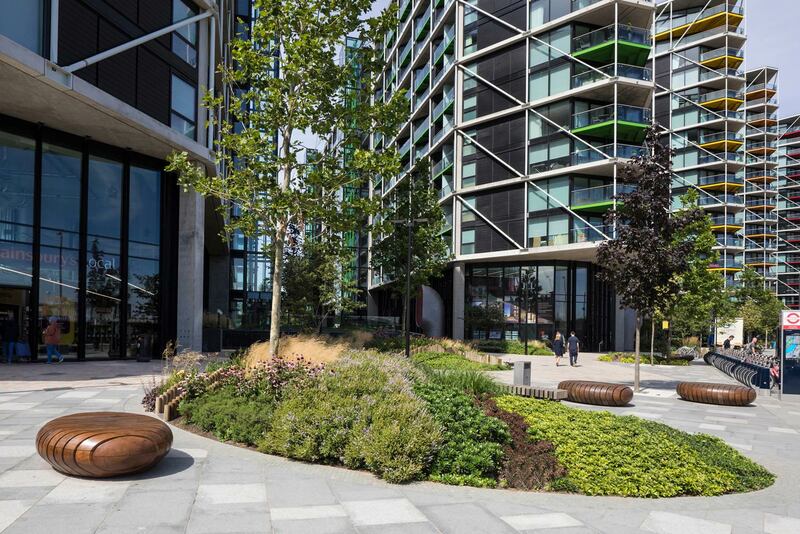 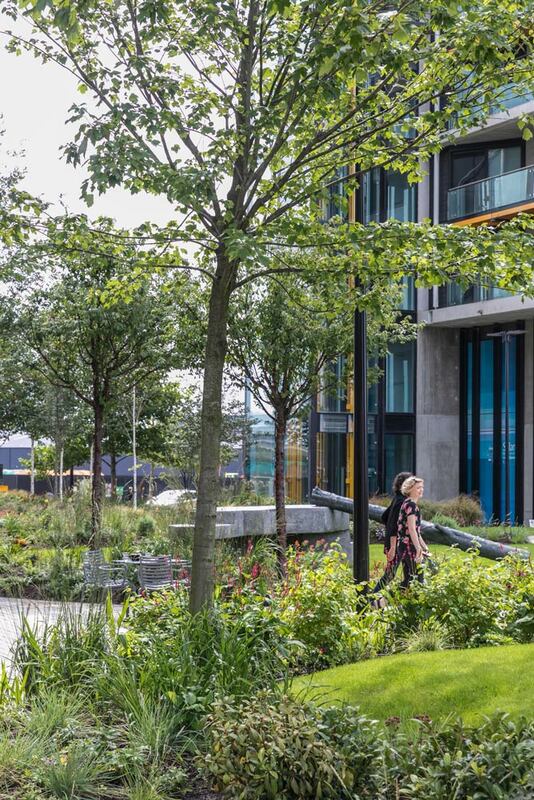 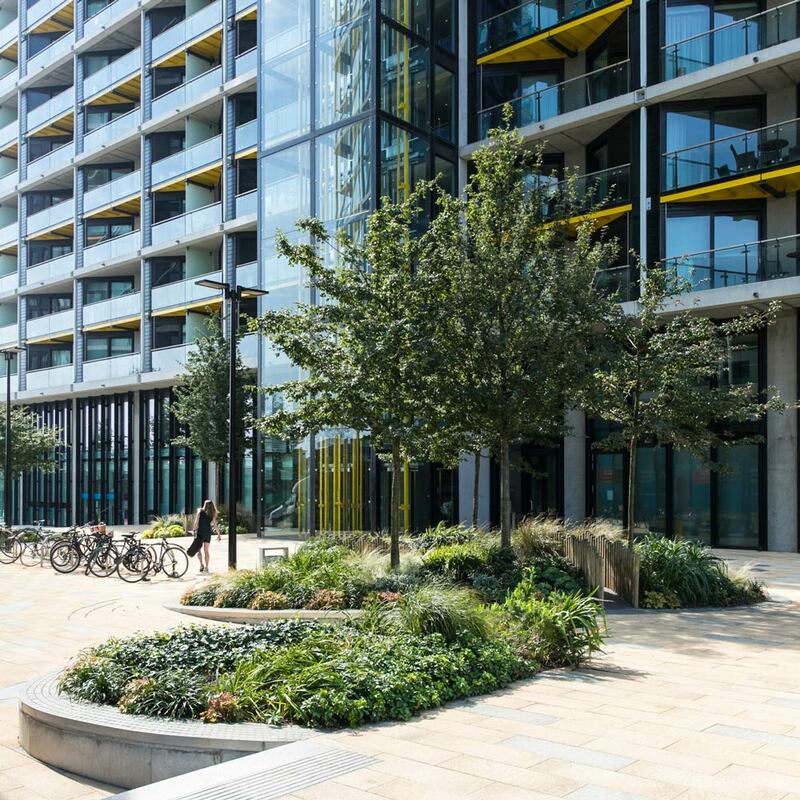 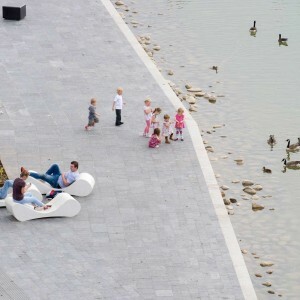 Inspired by the sites proximity to the River Thames, a pocket park – which sits adjacent to the dock inlet – provides a generous area of public realm that is treated as a ‘revealed riverbed’, with a series of soft, pebble-like planted landforms and seats. 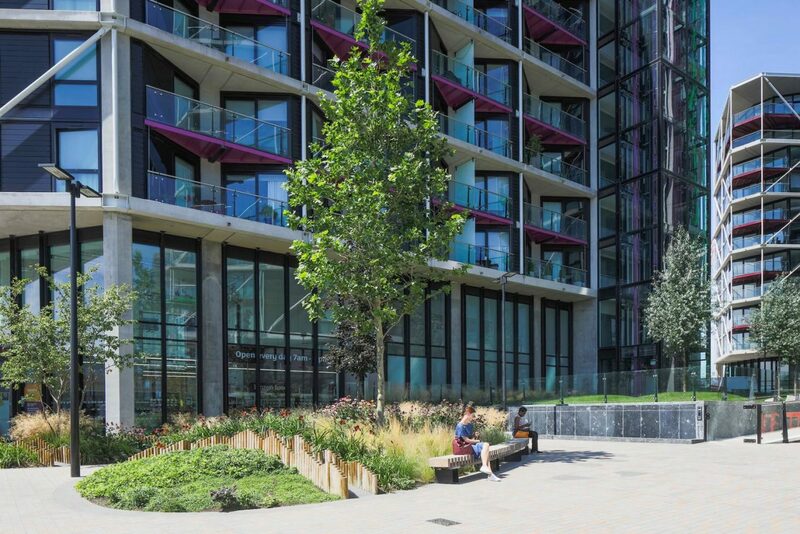 The public realm is activated at street level by split-out cafes, and connects to Nine Elms Lane and the newly created river walk — slightly raised to allow views over the river wall to the Thames — that opens up a stretch of previously underused waterfront. 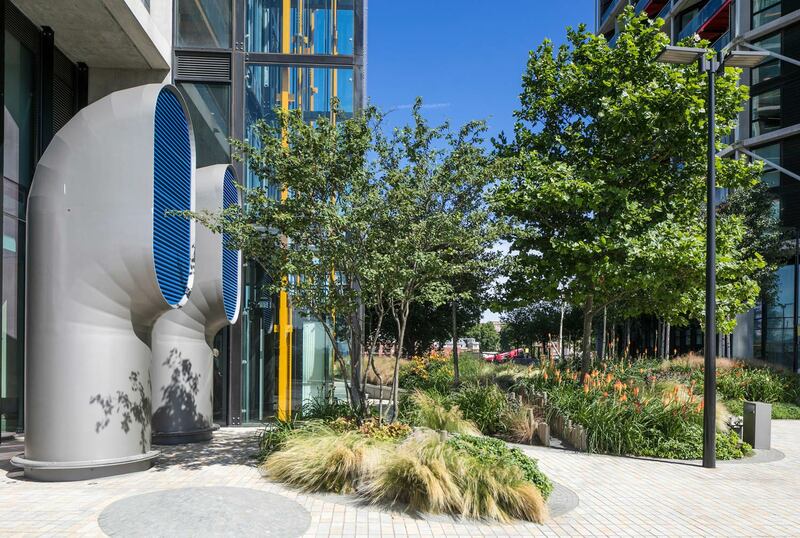 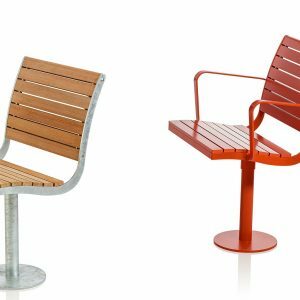 Art is embedded into every corner of the public realm, with specially-commissioned sculptures designed to encourage play and interaction. 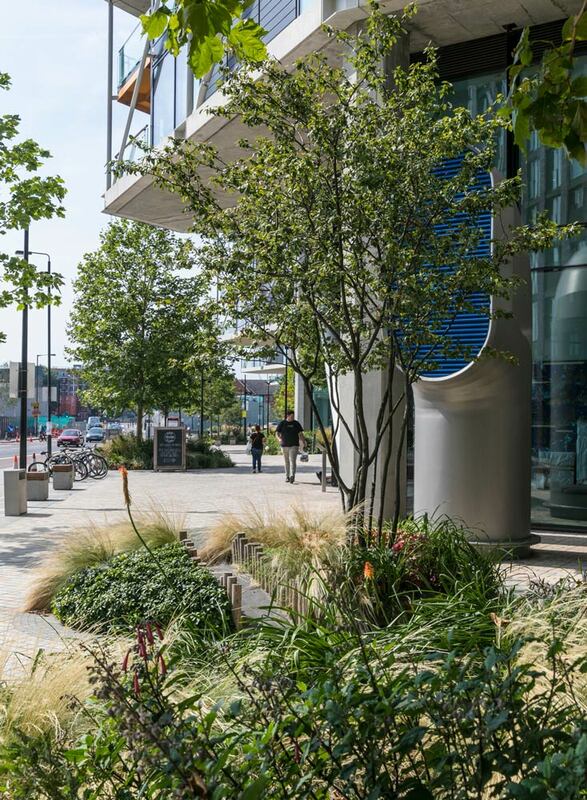 Gillespies worked closely with culture agency, FutureCity, who developed a place-making strategy that places art, culture and play at the heart of Riverlight. 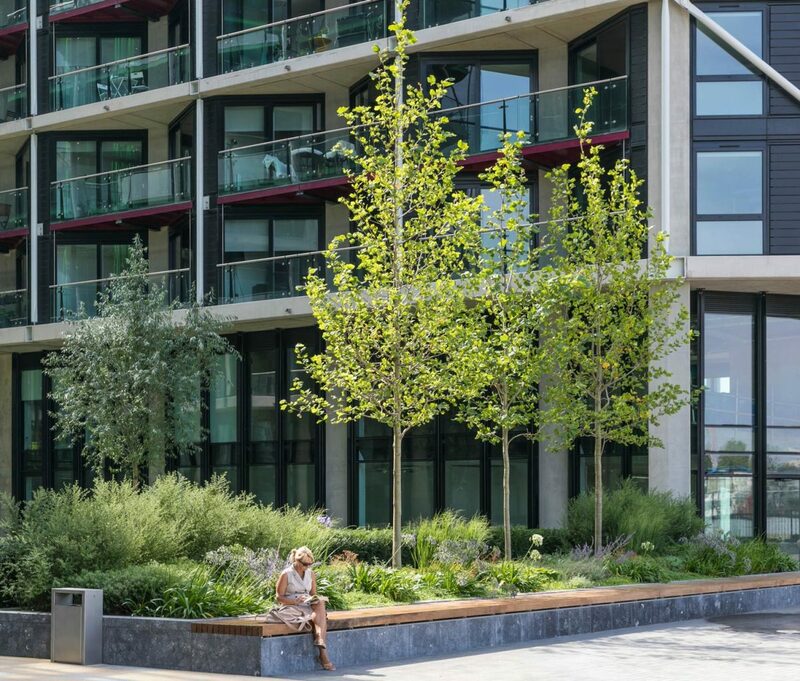 The green linear spaces created between the buildings are dedicated to private residential gardens, offering residents a secure environment, with natural play features at the centre for families to enjoy, together with heavy tree planting to aid privacy. 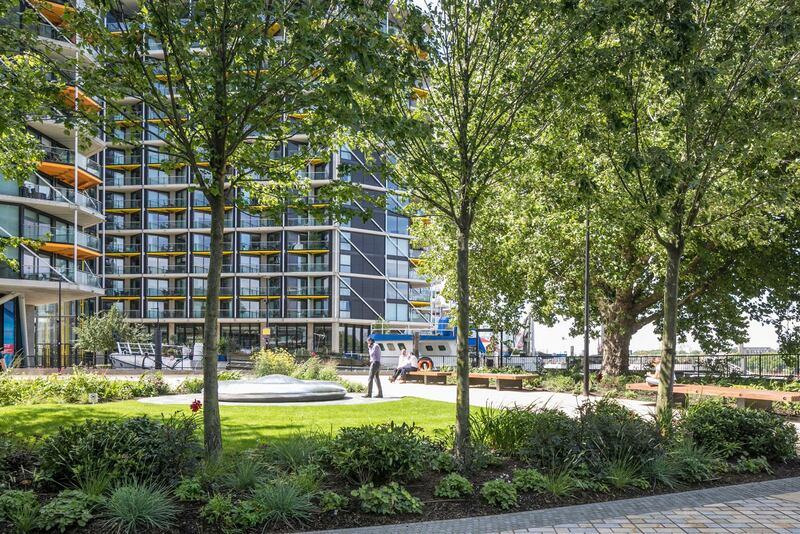 Water is a recurrent theme throughout the landscapes, providing a visual connection with the Thames, and reinforcing the site’s place as an interface between land and river. 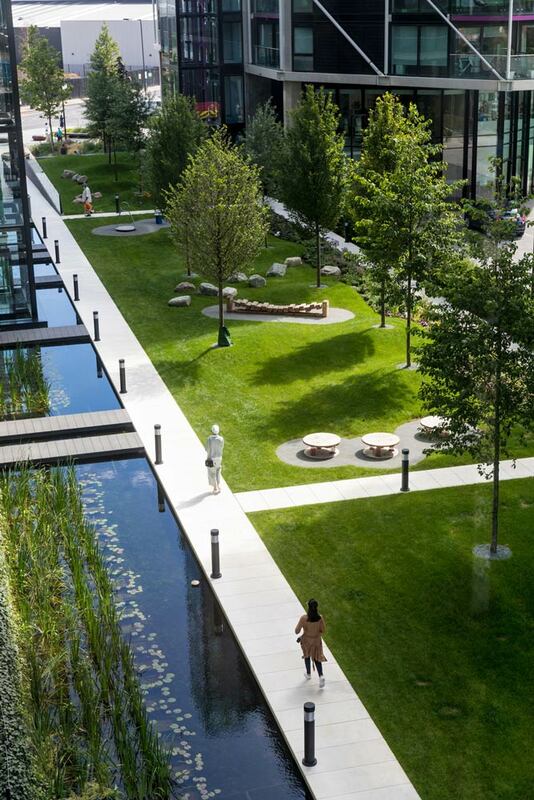 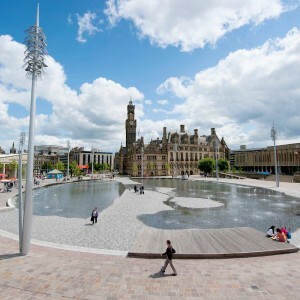 A number of water features provide beautiful, controlled edges between public and private space. 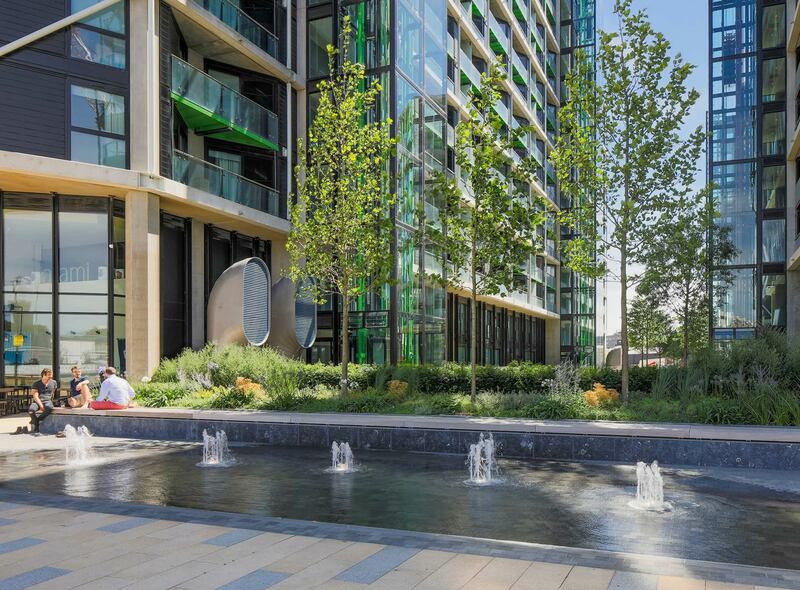 The use of water also echoes the historical mill ponds that once existed on the site. 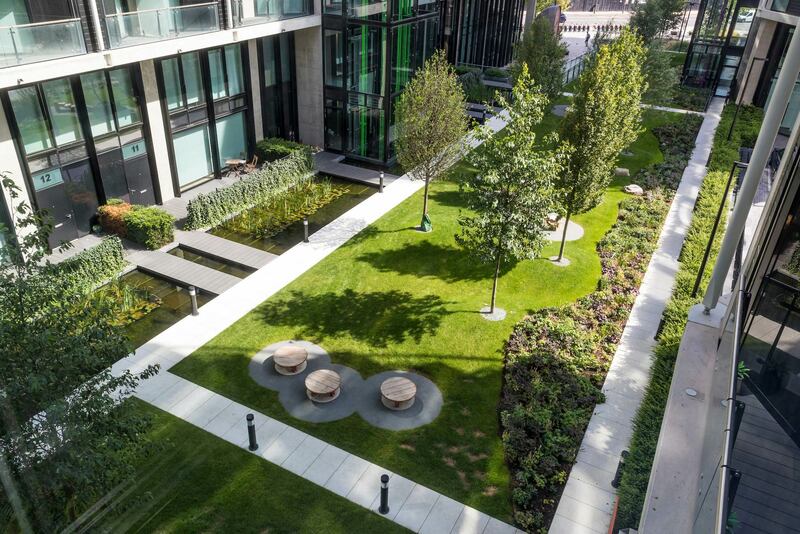 Gillespies’ designs have captured the particular character of these bodies of still water in a series of contemporary water gardens that sit within the residential gardens. 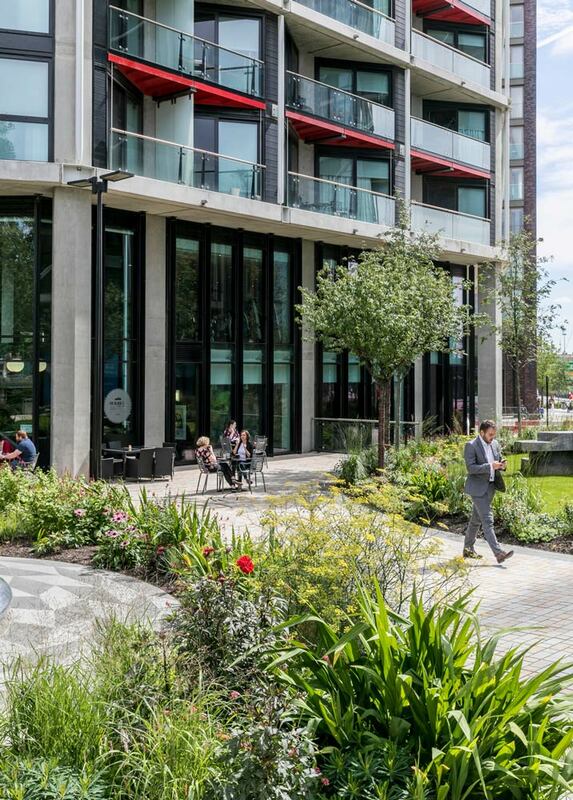 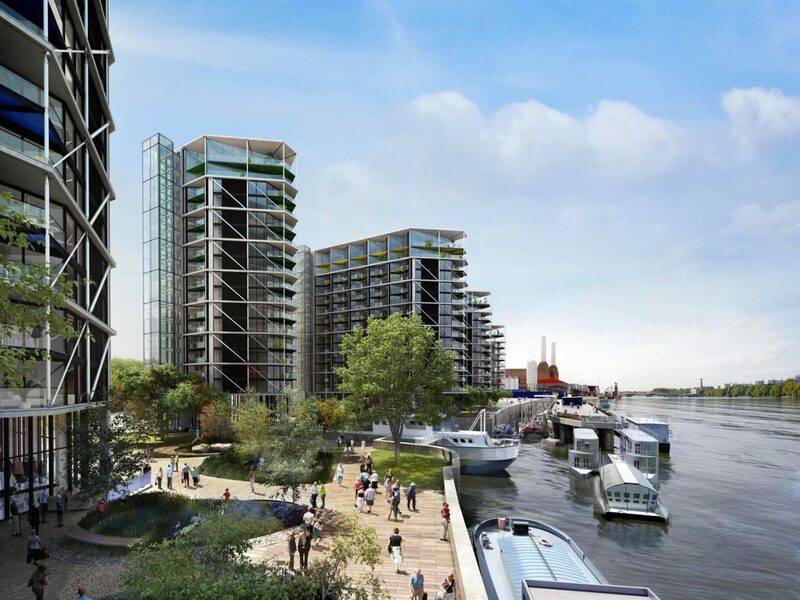 The new residential development at Riverlight has successfully delivered a dual vision of unprecedented public access to the Thames, alongside tranquil spaces for its residents.